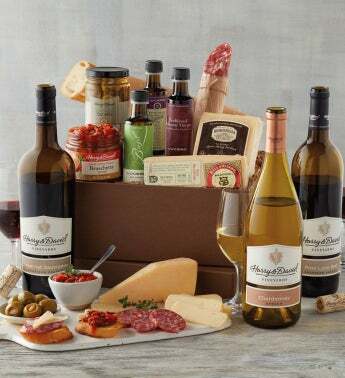 This carefully curated gift is brimming with three bottles of exquisite Southern Oregon wine and some of our finest gourmet snacks. 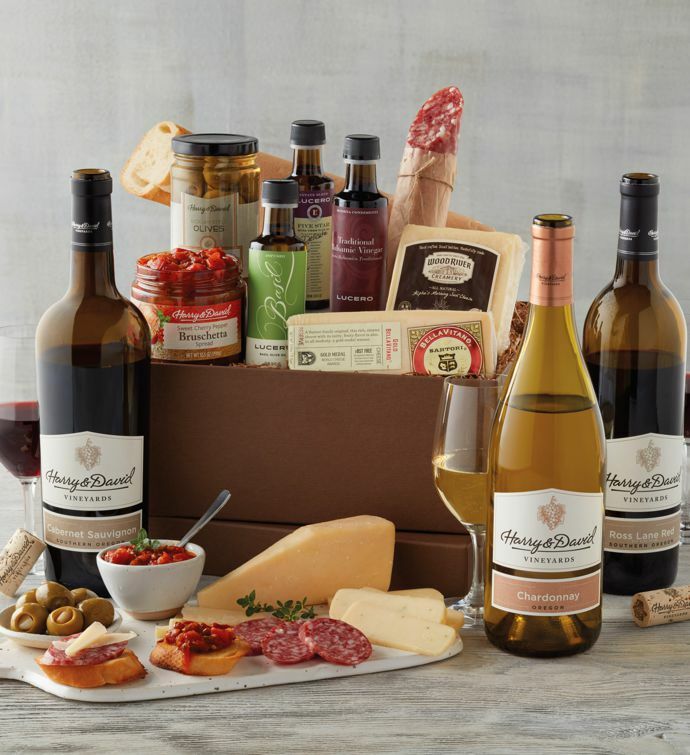 Savory delights such as premium salami, artisanal cheeses, and a bake-at-home French baguette are included along with olive oil and balsamic vinegar for an extra splash of flavor. We chose Harry & David™ 2016 Cabernet Sauvignon, 2012 Syrah, and 2017 Chardonnay for pairing. The beautiful Rogue Valley in Southern Oregon is a hub for rich and delicious wine crafted from the finest grape varietals.